You’ve created a great new product and you can’t wait to get it before customers. You’ve already started an online store and established a presence on leading marketplaces. The next step is to get the product into as many retail stores as possible. To do this, you need the help of a distributor. Distributors work with retailers and get your product into stores across the country. The right partner can dramatically increase your sales and help you reach untapped market. This article will help you find the perfect distributors for your product. The first thing you need to understand is the role distributors play in retail and the value they add. A distributor is essentially a wholesaler that stocks a large number of products and sells them to retailers. Instead of dealing with each product manufacturer individually, a retailer can negotiate a single deal with the distributor and get access to a range of products. For retailers, the value is clear. Dealing with a distributor saves them from the burden of product selection and negotiating with dozens of manufacturers. In many cases, distributors will also take back unsold products, extend credit, and help retailers sell more. For manufacturers and product creators such as yourself, distributors offer easy access to a network of retailers. Instead of approaching hundreds of different stores, you can negotiate a deal with a single distributor. The distributor will then work to get your product placed in retail stores that buy from it. Moreover, distributors take over the responsibility of storing and shipping products from you. Instead of packaging and shipping everything yourself, you can simply sell the product to the distributor which, in turn, will ship them to retailers. If you care about reaching more customers and getting access to lucrative markets, you’ll want to use distributors. However, as you’ll learn below, you might not need distributors in some cases. Before you start your search, you need to figure out whether you even need distributors. This wouldn’t have been a question in the pre-internet age. However, at a time when selling directly to customers is easier than ever, the need for distributors isn’t always clear. Sell to distributors who then sell to retail stores. The more intermediaries there are between you and the customer, the lower your profit margin. You might make $5 on a $10 product if you sell directly to customers. As you add more middlemen — a retailer, a distributor — they’ll take their cut and eat into your profits. Not every product does well online. 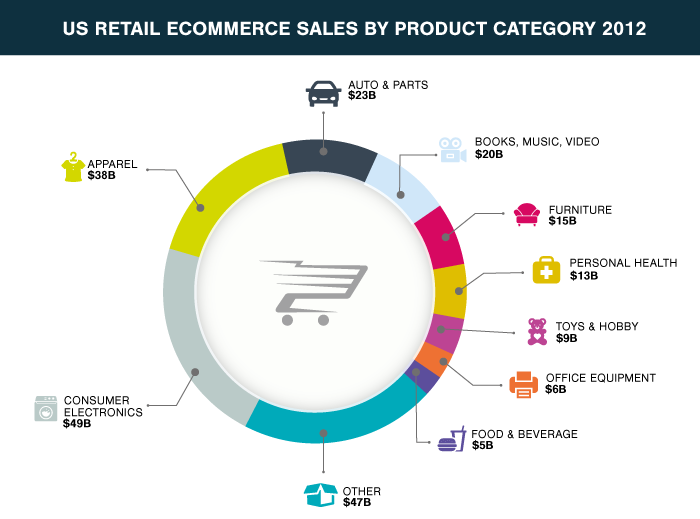 For example, food and beverages, a trillion dollar market offline, make up a small portion of e-commerce sales. If your product is perishable, difficult to transport, needs to be experienced or has limited online demand, you’ll want to sell via physical stores. And to reach these stores, you’ll want to use a distributor. The key to sales is to be where your customers are. If your target customers don’t shop at retail stores, you have no reason to patronize them either. Usually, if your customers are older and less tech-savvy, you’ll want to target physical stores. How strong is the current online demand for your product? An easy way to gauge this is to check the competition on a large retailer like Amazon. If you have a number of competing products, it probably means that there is customer demand. Another tactic is to find the search volume for your product using a tool like SearchVolume.io If a large number of people search for the product keyword, there is a good chance some of them will turn into buyers. When you sell directly to customers, you can take products off the market in case you run into any supply issues. Distributors, however, will expect you to have enough volume to meet retailers’ demands. If you’re unsure of your manufacturing capabilities, you might want to stick to your owned channels initially. Large retailers such as WalMart, Costco or Target often ink deals directly with manufacturers. Non-chain retailers, however, will usually avoid dealing directly with manufacturers since it increases their administrative burden. If your target market has mostly chain retailers, you can think of approaching them directly. If it is mostly small stores, you’ll have to go through a distributor. Once you’ve figured out that you do indeed need distributors, you can go about finding the right one for your products. The distributor isn’t just a company you sell your products to. It is a partner in your business’ growth. Picking the right distributor is crucial for long-term success. Most industries have local trade associations where manufacturers, retailers, and distributors can come together. This should be the first stop on your journey to find a distributing partner. In the US, the National Association of Wholesalers (NAW) offers a list of regional and local chapters of different trade associations. Use this to find distributors that serve your industry and region. Marketing Mentor has another list of trade associations for different industries. Find an association that serves your industry and become a member. Once you join a trade association, try to find how other manufacturers sell their products. What distributors do they use? What markets do they target? What kind of results do they get from their efforts? In most industries, there will be best practices, proven players, and established channels. Adopting these best practices is recommended for any new entrant. Another way to find distributing partners is to attend trade shows that target your industry. A large trade show can bring together hundreds of distributors and manufacturers under the same roof. Attending one can give you a quick idea of the distribution landscape, available options, and industry best practices. 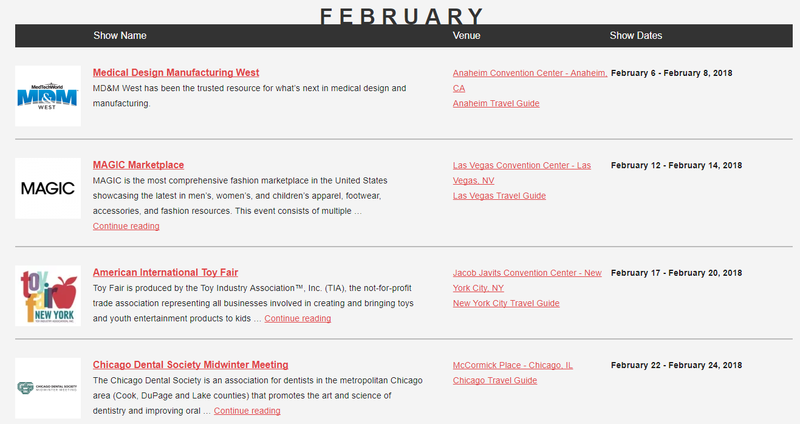 AbsoluteExhibits has a trade show calendar covering major shows in different industries. ExpoDatabase has a more comprehensive list of trade shows, though many of these are smaller shows targeting local markets. As with trade organizations, try to interact with other businesses in the industry (preferably nondirect competitors). Figure out who the top distributors are, what are their requirements, and what kind of results they get. Try to get a referral or an introduction. Good word of mouth matters a lot in this decision. A wholesaler is essentially the retail-facing side of a distributor. There are plenty of directories where you can find wholesalers who cover your industry. While they’re usually positioned towards retailers, they’ll be happy to hear from manufacturers wanting to work with them. 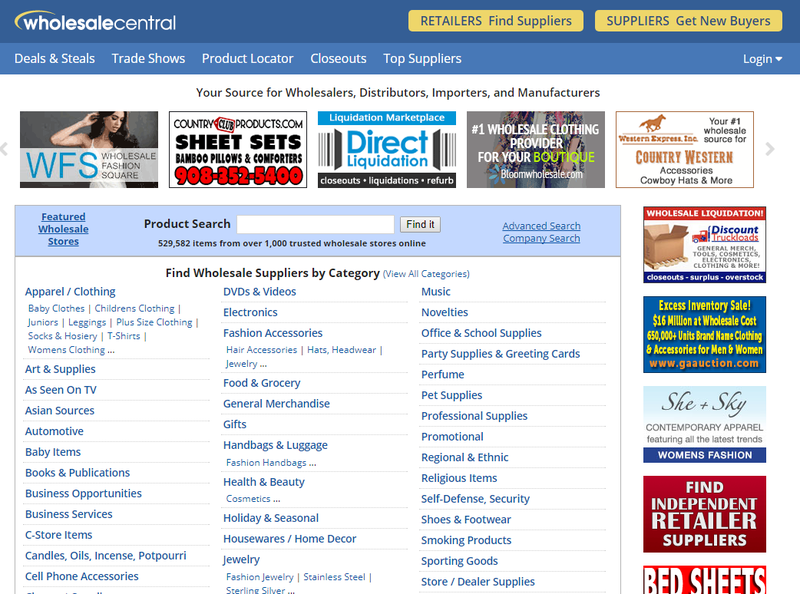 WholesaleCentral.com has a good list of wholesalers across different verticals. When the above approaches fail, you can fall back on good ol Google. You’ll usually find wholesalers and distributors covering your industry at the top of the search results. Get in touch with them and ask about their requirements, terms, and results. Lastly, you can always turn to social media — Facebook, LinkedIn, blogs, forums, etc. — to find distributors. Find groups on Facebook, LinkedIn or forums that cover your industry. Ask how other product creators found distributors and what were their results like. Simply getting a list of distributors isn’t enough; you also have to make sure that they’re the right fit for your business. Start by creating a list of your own requirements. Understand deeply what kind of business you want to run, your capabilities, and goals — both long-term and short-term. Distributor size: You want to work with a distributor that can accommodate your business without ignoring it. 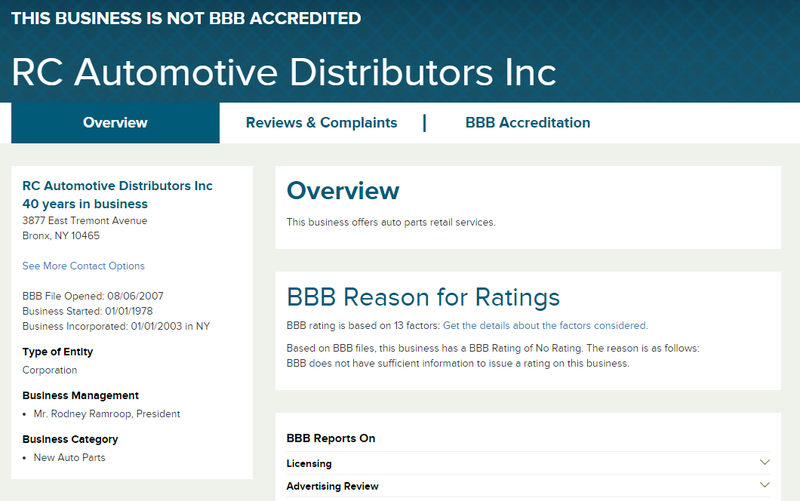 If the distributor is extremely large, you might not get the attention your business needs. Distributor expertise: A general-purpose distributor might work well for generic products. If your product requires niche knowledge to sell, however, you’ll want a distributor with proven expertise. For example, if you’re selling a revolutionary new bike, you’ll want distributors who understand the business and technical aspects of bikes thoroughly. Business goals and values: Pick a distributor that aligns with your goals and values. If you want to work with small stores and focus on sustainable growth, pick a distributor that prioritizes these goals. If you want to get into big-box retailers and unlock exponential profits, pick accordingly. Business stability: How stable are the distributor’s finances and operations? Does it have a history of on-time payments? How long has it been in business? Sales competence: A good distributor will have a strong sales force. Evaluate them on the size of their sales team (both inside and outside sales), how they generate leads, and overall sales vs. sales team size. Marketing capabilities: Ask how the distributor markets its business to prospective retailers. What channels does it use? Does it do any online marketing? If yes, evaluate it for quality, competence, and results. Market knowledge: How well does the distributor know the local market? Does it know all the major retailers in the market and the kind of products they carry? A good distributor would have inside-out knowledge of the local market conditions. Inventory management & logistics: How does the distributor handle inventory? How large are its warehouses? Does it have its own fleet for shipping? If yes, what is the fleet size? What other logistics partners does it use? Management: What kind of personnel does the distributor have? Does it have professional managers and managerial practices in place? What is the founder(s) background and experience? Fit: Does the distributor align with your expectations? Does it fit into your ideal distributor profile? Evaluate the distributor on this all important factor — overall fit. Doing this exercise will help you find distributors who can benefit your business in the long-run. The only thing you have to do is to convince them to work with you. While you evaluate distributors for fit and competence, distributors will also assess your business. Effective distributors don’t want to work with just any supplier. They want to partner with businesses with proven product demand, sales, and effectiveness. Demonstrate knowledge: Show that you understand your own market as well as the distributor’s goals. Develop your pitch along the distributor’s business goals and market approach. Show customer demand: Demonstrate that there is actual customer demand for your product. The best way to do this is to show sales figures from your own online store. If not, use data from existing retailers and marketplaces. Develop a brand: Distributors want to work with businesses that take themselves and their brand seriously. A strong brand — in design, copy, presence, and customer experience — will leave as big an impression on distributors as it does on your customers. Show intent: Distributors don’t want to work with a hobbyists who might leave the business if the going gets rough. Prove that you’re ready for the long-haul by demonstrating your investment (in time and money) into the business. Get referrals: If you can get a referral or an introduction from someone the distributor trust — such as an existing partner — it will become much easier to strike a deal. Think of this as dating where both parties evaluate each other for the right fit. Once you find someone who wants to work with as much as you want to work with them, you know you’ve found the right distributing partner. While you continue your search for the right distributor, don’t forget to create an online store and start making sales. Even if you don’t prioritize online channels, proof of sales and customer demand will make it much easier to get picked up by a top distributor. Have you ever worked with a distributor? What was your experience like? Let us know in the comments below!